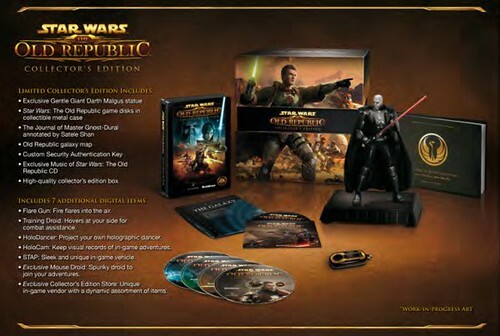 Star Wars: The Old Republic Collector’s Edition Details ? 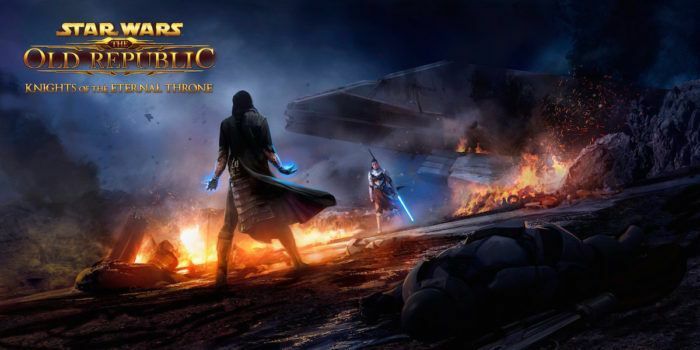 It is being rumored that EA is all set to start taking pre-orders for Star Wars: The Old Republic. It will made available in its original version via a download, while a Collector’s Edition is also planned. Collector’s Edition details for Star Wars The Old Republic have somehow found their way to public from different listings and are already a hot topic discussed among the fans of the game. From these leaked details, Collector’s Edition of the game will cost $175. Training drone – a helpful bot that will fight by your side in battle, looks a bit like the training orb Luke Skywalker learns to use a lightsabre with. HoloDancer – a portable holographic device that lets you project an exotic dancer wherever you are. Exclusive Collector’s Edition store – unique in-game vendor with a dynamic assortment of items available only to purchasers of the Collector’s Edition. The first fifty thousand orders will be guaranteed their copy of the game, along with all the bonus content, while another 450,000 will have to be put on the waiting list. A release date is yet to be announced, but based on all this information, EA is all set to announce it. Update #1. Star Wars: The Old Republic Pre Orders are go and we can confirm these pre-order bonus items. You can find more specific details through the link. Preorder The Old Republic Shadow of Revan and Get 12x XP Boost!